Transforming chlidren into princesses and princes is magical. 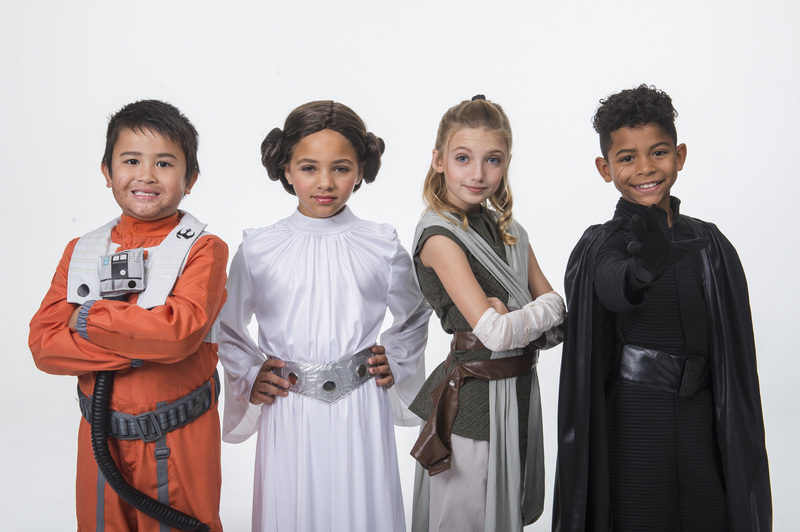 A choice of Star Wars character makeovers is coming to the Disney Fantasy. In what may have been a first at sea, Disney Cruise Line devoted 94 square meters of real estate on the Disney Fantasy to a venture that promised transformation. Yes, there are wellness cruises that focus on strengthening the mind-body connection. And it’s true, there are religious cruises that have taken passengers to the Holy Land on spiritual enlightenment retreats for millennia. The Bibbidi Bobbodi Boutique is different. Here, the Walt Disney Company, masters of fantasy, have succeeded at getting guests to pay hundreds of dollars extra to transform themselves into princesses and pirates, and these guests are only 3 to 12-years old. The Bibbidi Bobbidi Boutique, a large gift shop of Disney costumes, jewlery and memorabilia from many classic films, had been a very successful niche in the company’s retail stores and theme parks and it worked so well at sea, that all four Disney ships now have these boutiques. The drill is the same: young girls come in, pick out the ball gown worn by their favorite storybook princess and get their makeup and hair done. Visiting the boutique has proven to be a popular activity for upscale birthday parties. This experience ranges in cost from $64.95 for a makeup application to to $595 for the Royal Sea Package, a three-makeovers in one week option for children who want to own the Castle or Disney Frozen, Under the Sea and Deluxe Maiden personae. For this, your kids will dress and look the part, live it out loud during the cruise, and have a pink suitcase to take everything home in. And in extraterrestrial news, the Bibbidi Bobbidi Boutique on the Disney Fantasy will offer character uniforms and galactic royalty outfits (starting at $99.95) to young sailors (and their grownups) so they can be a more active part of Disney’s “Star Wars Day at Sea” programs running January to April 2018. Don’t be surprised at the cost of lavishing attention on these young sailors. Every daughter is daddy’s little princess, every son his parents’ shining knight, and it’s great fun to watch them achieve that potential.